The city's fire chief and deputy fire chief had alleged that the mayor retaliated against them for raising concerns over safety issues. Westbrook has settled a lawsuit filed by its fire chief and deputy fire chief that alleged the city retaliated against them after they complained about a volunteer firefighter who had been hired as a city fire inspector. 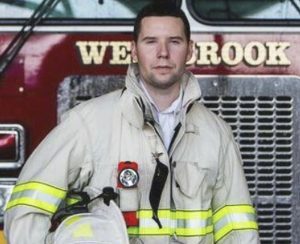 The city agreed to pay Fire Chief Andrew Turcotte and Deputy Chief Stephen Sloan $25,000 for their legal fees and other expenses associated with the suit. In return, the pair agreed to dismiss their suit and sign a statement acknowledging that the city denied any wrongdoing, their lawyer, Jonathan Goodman, said. The Westbrook City Council was taking a preliminary vote on the settlement Monday night. A second and final vote is expected Oct. 15. The suit was filed in April, with Turcotte and Sloan alleging that Mayor Mike Sanphy was taking steps to retaliate after the two complained about the inspector. They alleged that the inspector had a conflict of interest because he worked for an electric services company that had performed work on some of the buildings that were being inspected. Sanphy, meanwhile, said he had received calls complaining about the department’s leadership. City Manager Jerre Bryant said Monday that the city hired an electrical contractor to do the inspections and that the company assigned one of its employees to do the job. The contract with the company and the employee assigned are still in place, he said Monday. Turcotte and Sloan also retain their positions, Bryant said, and the city is not taking any steps to dismiss them. In addition to the dispute over the fire inspector, Turcotte and Sloan had raised concerns about an old fire station at 41 Cumberland St. that Sanphy had proposed using as a base for hourly police and firefighters and on-call first responders. Those first responders are typically used when traffic control is needed at car accidents, during bad weather and for other short-term needs, such as providing traffic and crowd control during parades. Although the on-call company has space in the city’s main public safety building, most usually respond from their homes when they are needed. Turcotte and Sloan said the building doesn’t meet safety codes and would require an expensive renovation. The building was given to the city more than 70 years ago by S.D. Warren, the former paper company, as long as it was used for public purposes. The city is in the process of giving the building back to the company that now owns the paper mill, Sappi North America, because it is no longer used by Westbrook. Bryant declined to comment on the settlement. Goodman said his clients want the matter to be over.